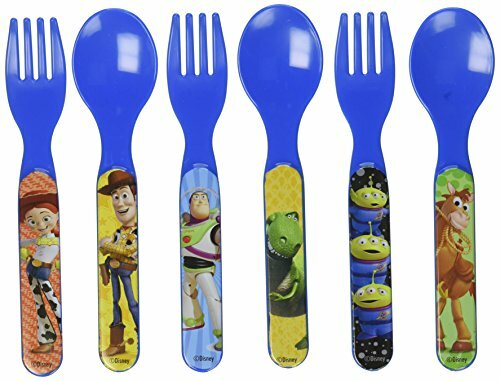 Toy Story Fork and Spoon Set. Six Pack. Easy-to-grasp eating utensils featuring baby's favorite characters. BPA and Phthalate free. Available from Regent Baby Products. Treating your baby royally since 1946.